Charles Haddon Spurgeon (19 June 1834 – 31 January 1892) was a British Particular Baptist preacher. He was a strong figure in the Reformed Baptist tradition, defending the Church in agreement with the 1689 London Baptist Confession of Faith understanding, and opposing the liberal and pragmatic theological tendencies in the Church of his day. Today Spurgeon remains highly influential among Christians of various denominations, among whom he is known as the “Prince of Preachers”. Read more about Spurgeon here. The origins of the church stem from meetings commenced by a group of local believers at the “Spread Eagle” pub in February 1859. Charles H Spurgeon, who was living near Wandsworth, would visit and speak at the pub. Spurgeon felt moved by God to plant a Baptist Church in Central Wandsworth making it the first Church of Spurgeon’s many South London church plants. The Church was officially formed at a communion service on Tuesday April 26th 1859 presided over by Mr Spurgeon. A Building fund to provide a place of worship was started in February 1860. A site was procured on East Hill, and the foundation stone was laid by the Rev. 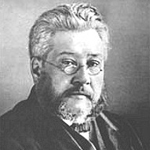 C. H. Spurgeon and Rev. J. W. Genders (Pastor) on October 6th 1862. The building was opened for public worship on Sunday March 31st 1863. The first pastor, Rev Genders, was one of the original men to be trained under the auspices of Mr Spurgeon in the ministerial training initiative that was to become Spurgeon’s College. 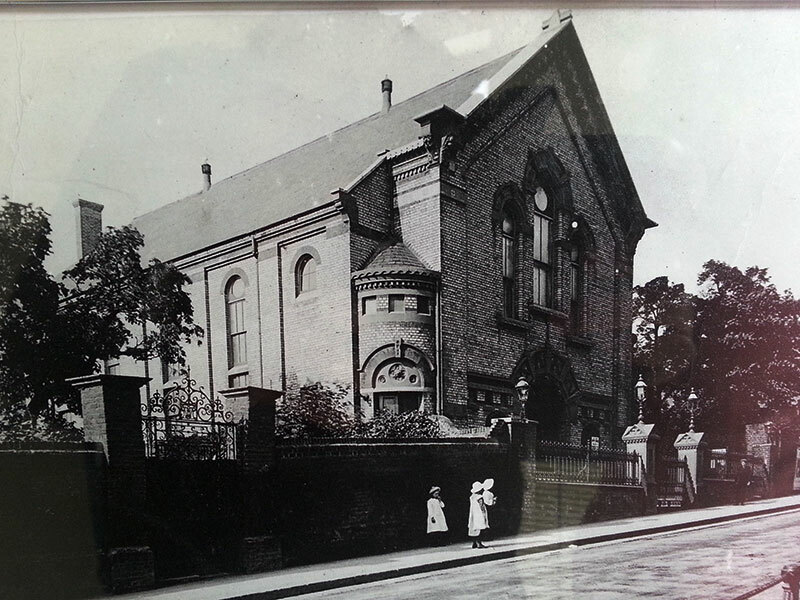 Due to subsidence problems, the original church building was demolished in December 1994. The present building was completed and opened in the summer of 1997 with the original corner stone incorporated into the west end of the building. 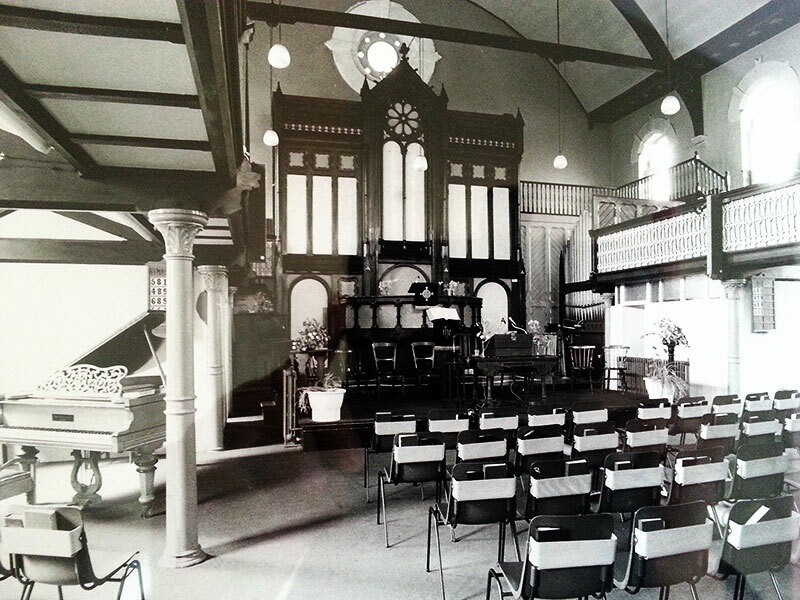 From December 1994 to Summer 1997 the church shared in worship with East Hill United Reformed Church.